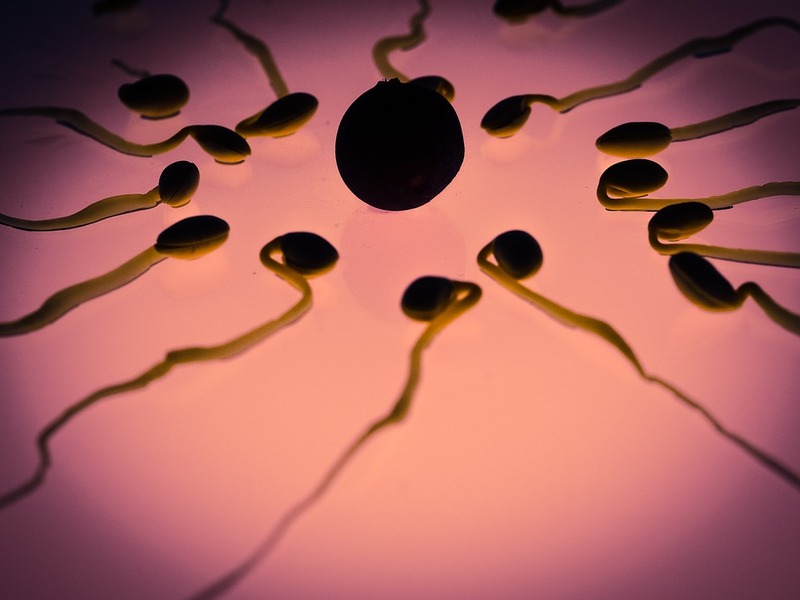 Sperm mutations are increasingly becoming the focus of scientific studies. For many years researchers have been unable to explain why some children are born with genetic diseases which neither parent has. Now a new study appears to have found evidence that shows more disease causing mutations associate with sperm produced by older men. Most couples are aware that starting a family later in life may be challenging due to declining female fertility with age. This new research also suggests that men need to assess the risks of delaying fatherhood also. One of the key differences between eggs and sperm is women are born with all their egg cells. In contrast, men do not have ready-made sperm cells when they are born. Sperm production is triggered by puberty and associated hormonal changes. Within the testicles are approximately 400m of seminiferous tubules containing spermatogonia. These specialised stem cells divide and mature into a sperm cell. Although men produce up to millions of sperm in this way every day, it takes three months for sperm to fully mature. During this period there is ample time for cellular sperm mutations to develop. With every cycle of spermatogonia division DNA is replicated into two new cells, one that is intended to develop into a sperm cell, and one that functions as a new spermatogonium. Occasionally, mutations arise during the replication process and this altered DNA is transferred onto the new generation of cells. While some mutations are not dangerous, others can elevate the risk of genetic diseases and other disorders. Researchers have now discovered that the percentage of sperm cells with a specific mutation is actually much higher than would be anticipated if it was caused by spontaneous spermatogonia mutations. Consequently, the older a man becomes the higher the percentage of sperm cells with selfish mutations due to the ongoing cellular replication. This process is somewhat similar to the development of cancer. The spread of cancer is caused by acceleration of defect cell growth in favour of healthy cells, which eventually causes a tumour to form. Professor Wilkie and colleagues investigated the role of selfish sperm mutations in the development Apert syndrome1. This is a very uncommon genetic disease affecting the development of limbs and the skull. One in every 60,000 to 70,000 babies are born with this disease. However, parents of children of Apert syndrome rarely have the condition themselves. For the past 20 years Wilkie and colleagues have been studying Apert syndrome and have found that it is caused by spontaneous mutations associated with the FGFR gene that arise during sperm production. Although Apert syndrome is rare, researchers believe that incidences of the disease are up to 1,000 more frequent than can be accounted for by spontaneous mutations alone. To understand this further, Wilkie and colleagues compared sperm samples from fathers of babies born with and without Apert syndrome. The research team found that both sample groups contained rare sperm mutations that can give rise to this disease. However, older men were found to produce a higher percentage of Apert mutations. Therefore, although a very uncommon condition, this research does suggest that the risk of fathering a child with this disease increases with age. What does this research mean for older fathers? All men develop sperm mutations that can be linked to serious genetic diseases. It’s important to remember that the risk of fathering a child with one of these diseases is low. However, delayed fatherhood will increase the risk. Being aware of this is important and something the men should bear in mind. Although sperm DNA mutations will naturally occur, there are measures men can take to try and support health sperm development and maturation. A healthy diet rich in antioxidants can help to minimise oxidative stress and protect developing sperm. Exercise, plenty of sleep, not smoking, and reducing alcohol intake are also important lifestyle actions that will support good reproductive health.